Not too long ago, I had the opportunity to assist on a concrete leveling job involving a sunken garage slab. This particular slab had a massive void underneath that needed to be filled before the slab would lift. In just a few hours, we had the void filled and the slab level again. Quick recap for those who are new to polyurethane slab lifting: Concrete slabs settle due to voids or unstable soil below. 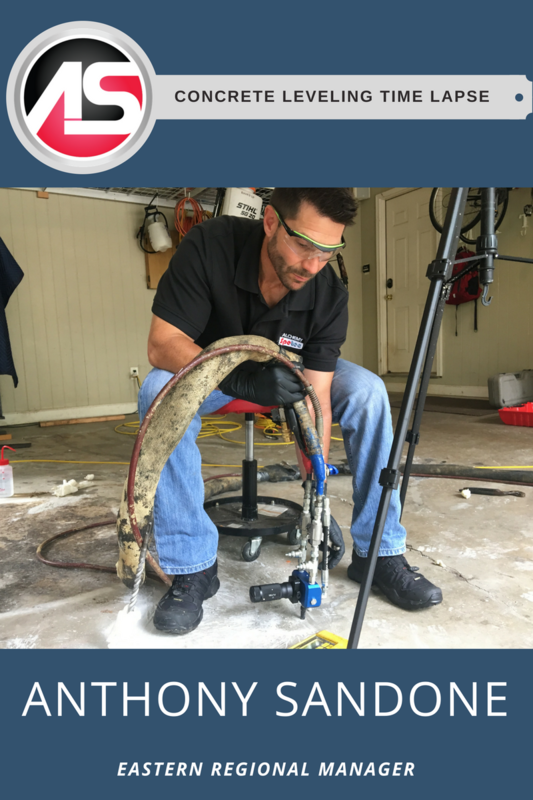 By pumping a polyurethane foam through the concrete, you essentially push the concrete slab back up from below. Using polyurethane foam is very cost effective, environmentally friendly, and causes very little downtime. Check out this incredible time lapse footage our marketing team captured! Want more information on concrete leveling with polyurethane foam?